SIR – This week the Environment Agency has been dredging the streams and ditches around here, ensuring that groundwater flows more rapidly into the River Swale – which, like its co-tributary of the Ouse, the Ure, is embanked across the Vale of York to prevent floodwater from spreading out over agricultural land. 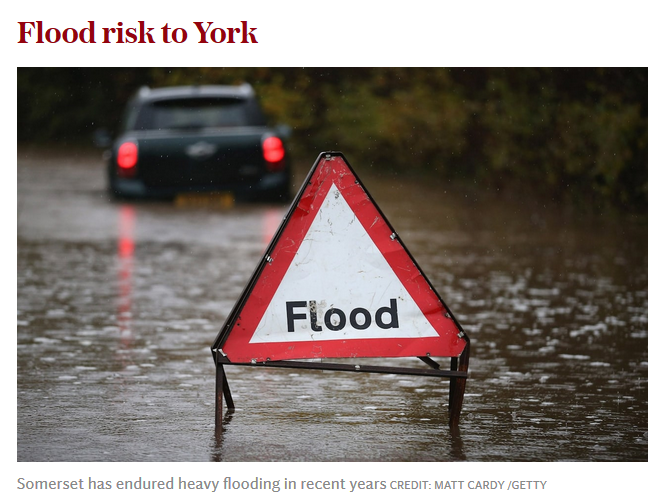 This will inevitably cause more floods in the centre of York, either now or later in the year, as the estuary of the Ouse downstream of the city is not dredged, to conform with the EU Water Framework Directive of 2000. Will Michael Gove have the courage of his predecessor as environment secretary, Owen Paterson, who, when there were devastating floods in Somerset in 2014, ignored the EU and ordered that the river estuaries there be dredged, which produced immediate improvement? I claim no particular knowledge about these matters, but I suspect there is more than an element of truth in the letter.